It is oppressively humid tonight, and I can see lighting flashing across the Western sky. Anyways, I wax poetic from time to time, but things are humming along on the homestead. 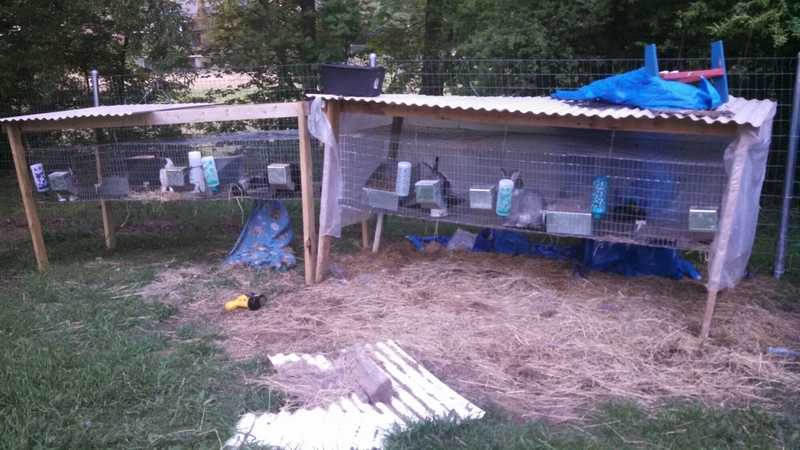 I managed to get the second set of cages hung, with a nice shady overhang that keeps most rainwater out of the food. Syren’s kits kept hopping out of the nestbox after ten days, so I removed it this morning. Their eyes are open, and they are huge compared to my other litters. She is such a great mother. I will hopefully get to weigh everything soon. 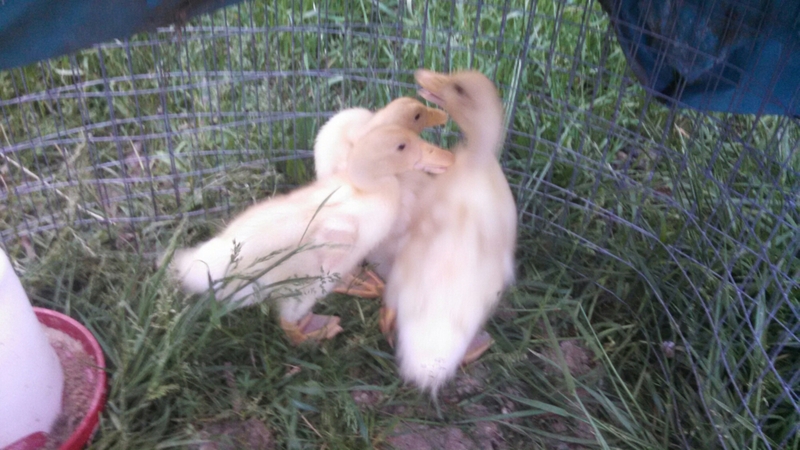 I also got three ducklings on craigslist, Huey, Duey, and Louey. They are Pekins, and are rapidly growing. I also got six new Khaki Campbell’s that are 2-3 months old. 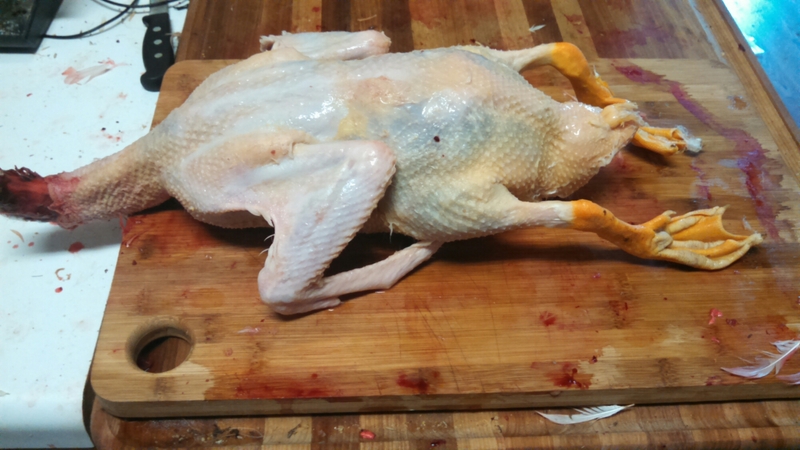 We think they are four females and two males, but we need to wait for adult feathers to confirm. The eggs are incubating well, and I should be expecting a new hatching of ducklings, pheasants, quail and chukar in the next week.